I don’t think I could have said it better myself.!! Please enjoy these wonderful insights from The Adventures of a Sober Senorita.! See you tomorrow for the new commercial unveiling.!! A few weeks back I had some expat ladies over to my house for some appetizers and gossip. We got to talking about luxuries we missed from our home countries which led me to write this post. As an expat living in Mexico there are certain luxuries I’ve had to give up while living here and some weird things I’ve just had to accept about this foreign country. I know my fellow foreigners living here will be able to relate to these unusual things you might have to accept if you want to live as an expat in Mexico. Since my return from Mexico, I have been a bit wistful. I want to share my visit with you.! But…. I am still processing my feelings from the trip. The visit was great.! However, I am trying to wrap my mind around the fact that I don’t live in Playa del Carmen anymore. I live in Chicago. And living in Chicago has been further validated because I started my new job this week. A real full-fledged job which has also taken up a quite a bit of my time. I really should have published this post a few days ago. But I think I’ve been dreading it. No, I don’t think…I know I’ve been dreading it. We have come to the end of the Tecate commericals. In fact, I have recycled some of my favorites recently in an attempt not to reach this grand finale. But alas, barring a complete recycling which seems overkill, we have offically come to the end. Tecate commercials have been a huge part of my blog history. Besides the fact that they added humor every weekend and allowed me to add a fun piece to the weekly mix – the commercials resonated with me because I was introduced to them by my ex-novio. Therefore, they reminded me of Mexico. But as with my ex and Mexico, it is time to move on. At the end of this week, I will introduce a new commercial entry to lead us into our weekends. 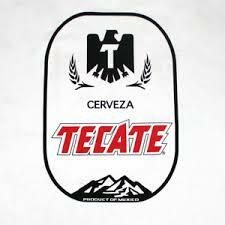 But until then, let’s enjoy one last traipse through some lovely Tecate memories.! Enjoy.! Y salud.! As a child, my mother instilled manners into me until they oozed out of my pores.! Don’t forget to say “please” and “thank you”. Don’t forget to address your elders with respect. Always say “hello’ first when entering someone’s home. Always, but I mean always, offer a guest in your home something to eat and/or drink. And for goodness sake, don’t forget to make pleasant conversation and at the end of the visit say “goodbye”. Double kiss on the cheeks too.!! It was a lot to remember; but, after awhile, it just became second nature. Now this is also a custom we have in the states. 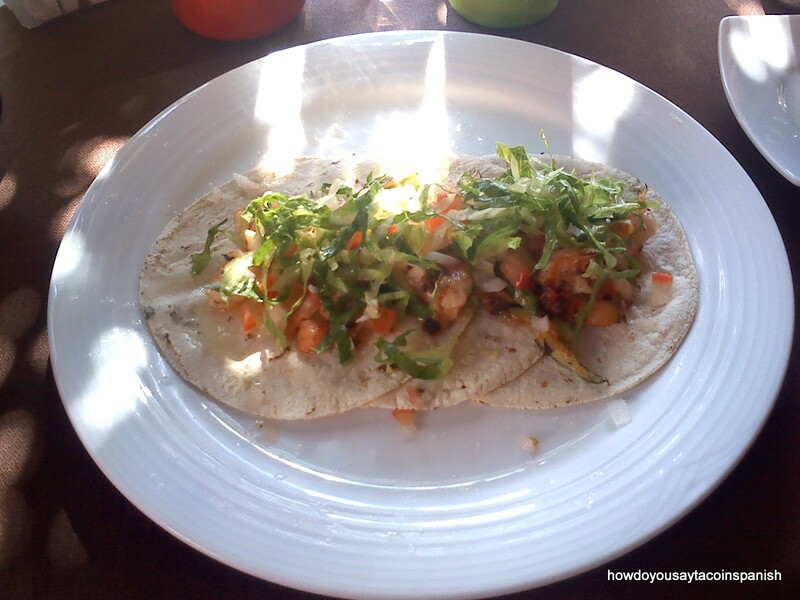 When someone is going to lunch or dinner, we tell them to “enjoy their lunch” or wish them “a nice time at dinner.” However, “¡buen provecho!”, which is more formal, goes a step further in Mexico. Firstly, it can be used casually. 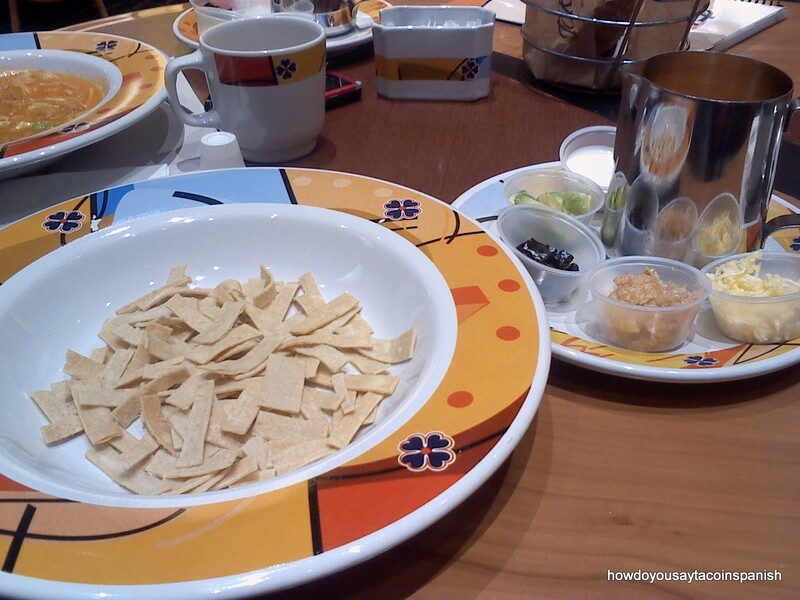 When you sit down to a meal with friends, you would only say “provecho”. 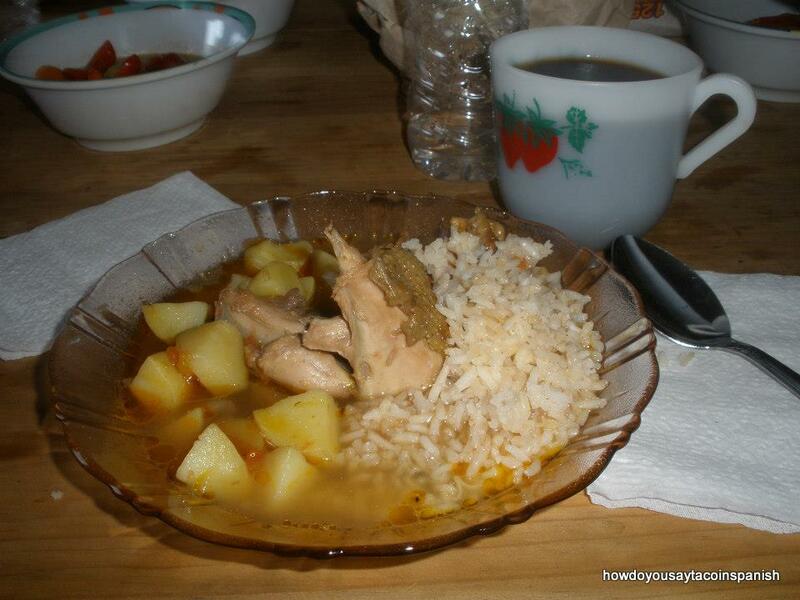 You would also say “provecho” when you arrive or leave the presence of others eating. 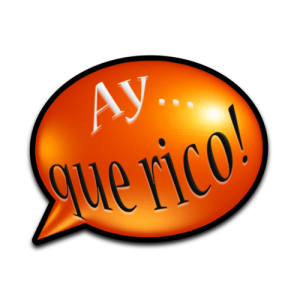 Secondly, Mexican Spanish also makes frequent use of diminutive suffixes such as ito/ita to indicate affection or intimacy. 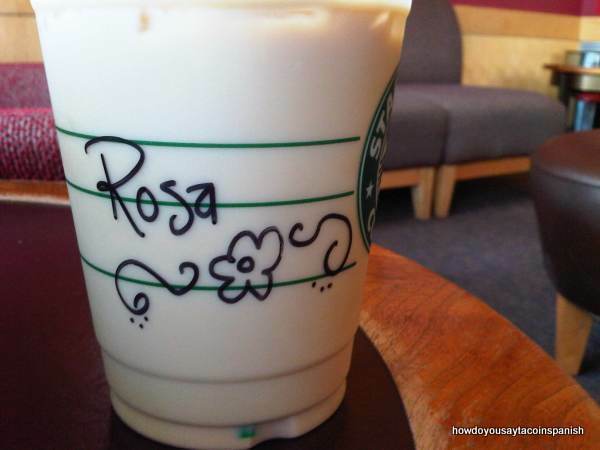 For example, many people called me Rosita not just Rose or Rosa. People go home to their casita or little house. Even your boyfriend becomes Juanito or papito instead of Juan or papi.! Therefore, provecho becomes provechito.!! 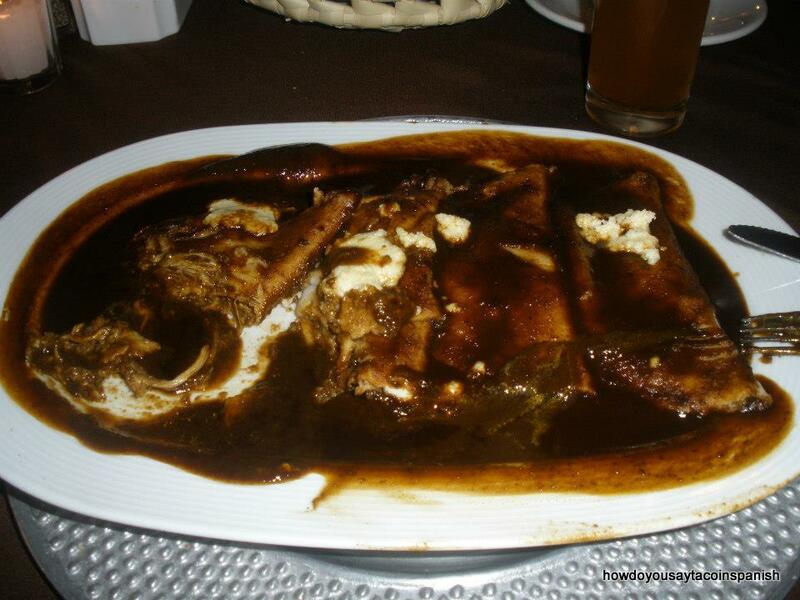 Ironically, provechito also means “burp”; therefore, you are aiding in digestion there as well.! March 18th is a very significant date for me. For starters, one year ago today on March 18th, 2013, I started this blog.! 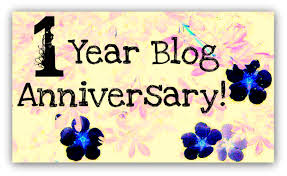 Today is my one year anniversary of blogging.!! Who would’ve thunk it.?!? When I started blogging that fateful day last year, I was full of apprehension and confusion. While I knew how to write, I knew nothing of blogging. I didn’t understand anything about wordpress.com, uploading pictues, watermarks, and pinging…??? Those were all foreign concepts to me. But now, I not only understand those concepts, but I embrace them. When I first started blogging, I could only write alone, on my computer, and in silence. Now, I can write almost anywhere. I have written my blog at the airport, at work, on someone else’s computer. I also feared early on that I would run out of ideas. But no…my draft list is still pretty large. Whew… And then of course, there is the fact that I never thought for one minute that anyone would read my blog. But people do read it, and critique it, and comment on it, and follow it, and like it. Wow.!! I never would have believed that either a year ago. March 18th is also important to me for another reason. 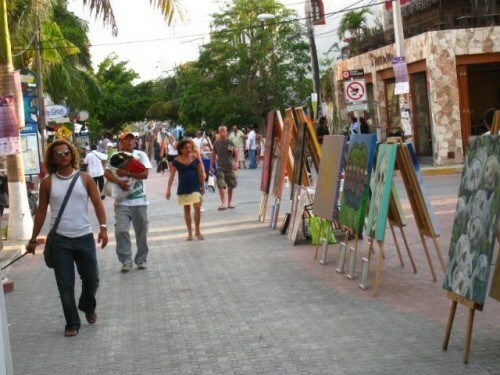 On March 18th, 2010, I visited Playa del Carmen for the very first time. And as all of you know who have been reading my blog, my life was altered dramatically from that moment on. Huge swaths of my life have changed completely, ceased to exist, or grown in amazing directions. I have gained numerous adventures, countless friends, a few bruises, some wisdom, and another language. It has been an amazing ride. 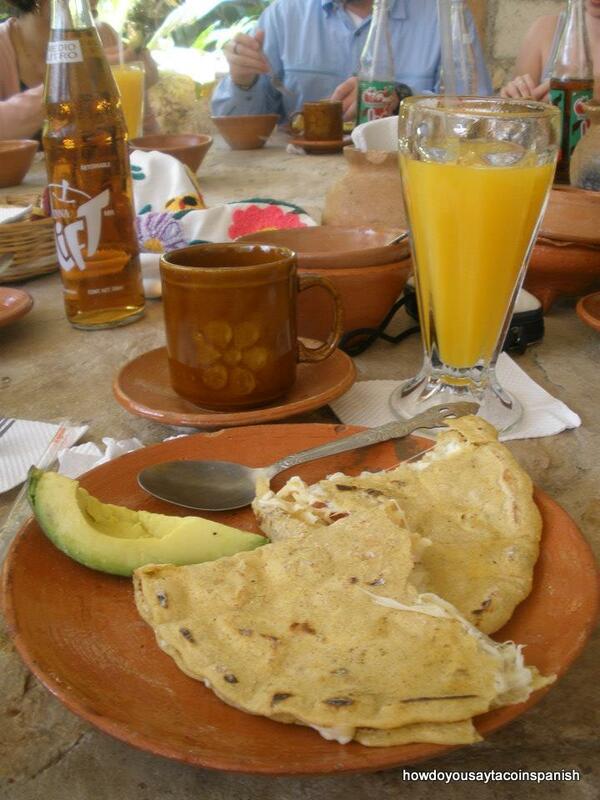 Without that trip to Playa del Carmen and my subsequent study abroad trip to Chiapas, this blog would not be possible. Now that idea seems almost unthinkable.! This blog has been the catalyst for so many wonderful opportunities for me. I have reconnected with friends from my past.! I have written for an online magazine. I’ve been interviewed. 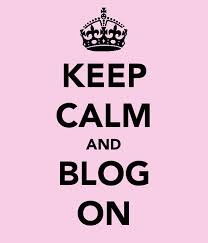 I have met so many wonderful bloggers.! And yet, I never would have dreamed any of this would have been possible on March 18th, 2010 or March 18th, 2013. So I thank all of you for being part of my blogging experience. Here’s to another year.! I can’t wait to see where I end up in 2015 🙂 Blog on…. Happy St. Patrick’s Day.!! I saved Tecate especially for today because it is the official holiday and my unpacking has finally reached an end.! How delightful.! I need a celebratory beer now more than ever. 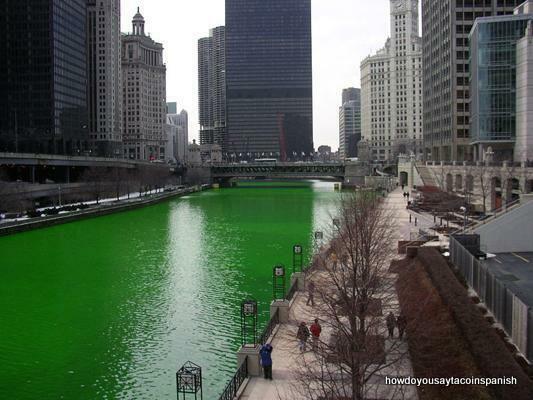 And what better day than today in Chicago where everyone is Irish for the day 🙂 A city where we dye our river green to commemorate this awesome holiday.! 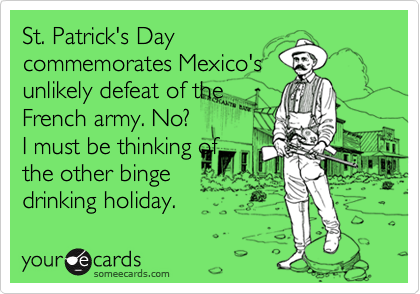 Strangely enough, the Irish also have an impressive history with Mexico. The Mexican-American War of 1846-48 was fought due to the U.S. annexation of Texas which Mexico strongly disputed (see wikipedia.com). A group of immigrants and expatriates (mainly of Irish, German, French, Italian, and other European nationalities) defected from the American side during the war. There are several theories as to why the men deserted, but the main one posits their shared cultural and religious heritage with Mexico. The Mexican army/government also offered them citizenship, land grants, and more money. 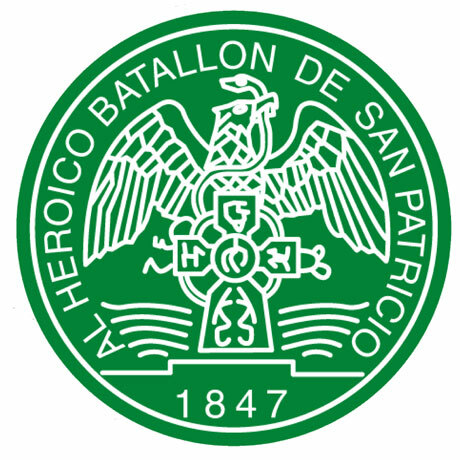 The deserters formed the St. Patrick’s Battalion or El Batallón de San Patricio and fought with the Mexican Army against the U.S. Even today, they are honored as heroes in Mexico on September 12th and March 17th.! 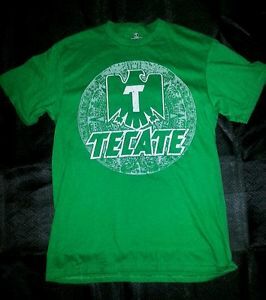 Today’s Tecate commercial honors St. Patrick’s Day, the Irish in Chicago, and the Irish in Mexico. It is called “¿quien dijo que los hombres?” or “Who said that men?” I thought it was a good commercial for today because it’s all about celebrations which St. Patrick’s day is about here in Chicago. However, the commercial goes a step further by asking the age old questions about men – Who said that men don’t have feelings? Who said that men don’t sing? Who said that men don’t dance? And finally, who said that men don’t love and do great feats for love? Apparently, not Tecate men.!! Enjoy.! Y salud.!! 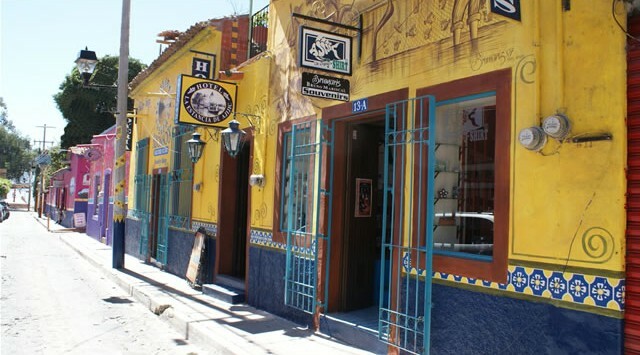 One of the many reasons I enjoyed living in Playa del Carmen was the feeling of belonging. I was a resident. I could legally live there and work there. I was not a tourist. The very idea of not being a tourist made me giddy.!! I have never enjoyed being a tourist. A traveler maybe. A temporary resident for sure. And with some possible exceptions, like hiring a tour guide in Rome, I have exemplified that spirit in all of my travels. So living in playa came with that extra sweetness of not being a tourist.! I was a true local 🙂 And being a true local allowed me some lovely perks. For starters, whenever someone didn’t recognize me, I could issue the following line and be left alone and/or cordially welcomed, “soy local, no una turista”. That was all that needed to be said and I was free to go about my day.! I was also able to avoid the psycho gauntlet outside the Cancun airport. There was no need for me to hire transportation, book a tour, or go on a timeshare presentation. Someone was picking me up or I was taking the bus. I just breezed past all the mania with my lovely phrase at the ready. Easy peasy.! It was also fantastic to pay local resident prices for the taxis.!! 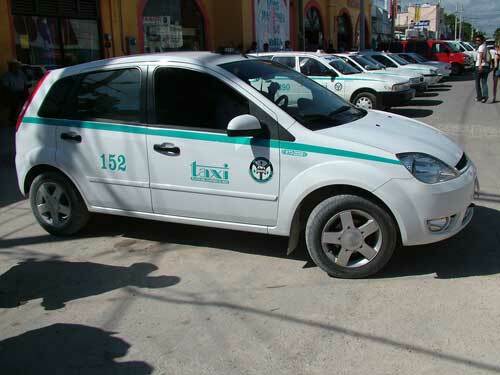 Tourists pay up to almost three times the amount for a taxi that a local does. For example, at my first hotel job in Playacar, it cost 40 pesos to get to work. If I wasn’t a local and also wearing my work uniform, it would have cost anywhere from 80 to 120 pesos. While we are only talking about a few dollars, when you are a local getting paid local wages, a few dollars is like the lottery.!! Also, as a local we received local discount cards from the restaurants. 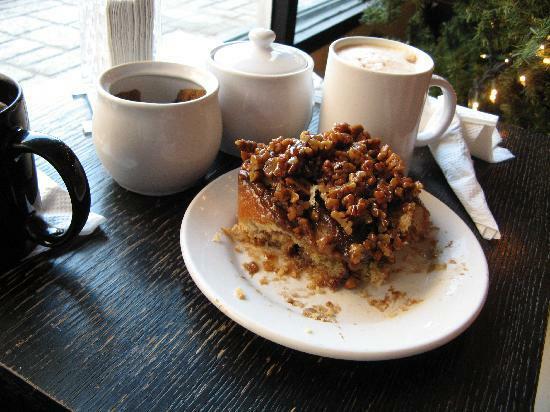 All we had to do was register our name and phone numbers and we could get ten to twenty percent off menu prices.! The first time, I realized that there was a price difference for tourists at certain restaurants was during the Easter holiday season. 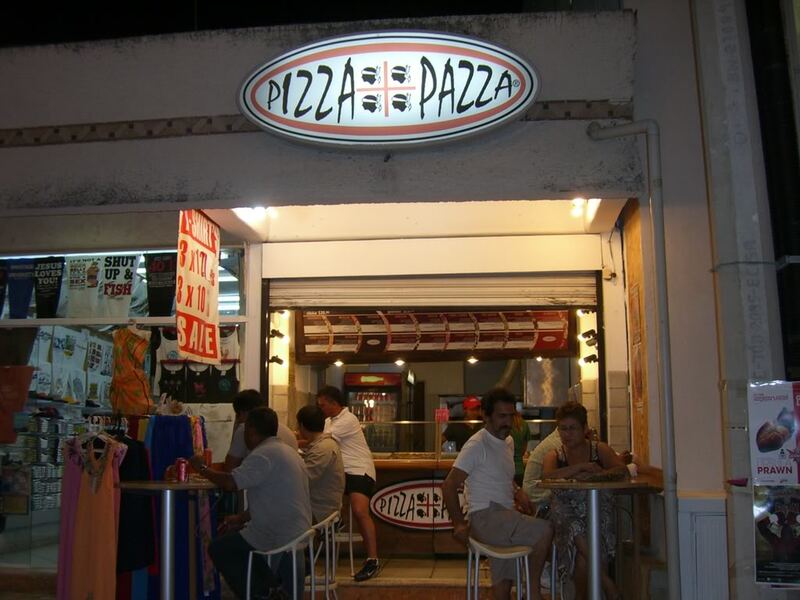 I had gone to Pizza Pazza, a locally owned pizza joint. Normally a huge slice of pizza and a diet coke costs about 25 pesos. The new girl behind the counter, not realizing I was a local, charged me 80 pesos.! I almost fainted. After some back and forth conversation, and manager intervention, I was charged my usual amount. But I was dumbfounded at the price difference. And secretly happy I was a local.! 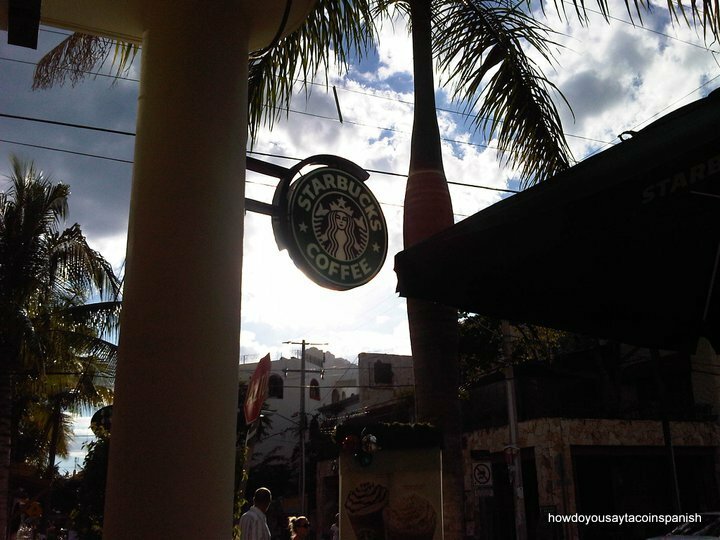 Finally, my favorite reason for being a local in playa was that everyone knew me at Starbucks. And not just knew me, but knew my name, knew my drink.!! And everyday I came in they not only handcrafted my beverage for me, but made beautiful designs on the outside of my cup. Sometimes, it was just my name, sometimes a drawing, sometimes even a whole message.! They asked about all of my friends who they knew from playa and of course I asked about them.